Two general types of adaptive array antenna are used with GNSS receivers: single-output nulling antennas and multiple-output beamsteering antennas. Most deployed systems are single-output adaptive nulling antennas that operate as an antijamming appliqué. In this way, a GPS receiver need not know to what type of antenna it is connected, be it a fixed or controlled reception pattern antenna (FRPA or CRPA). New development systems tend to emphasize multiple-output beamsteering antennas because of their better performance. However, in order to handle the multiple output channels, a new receiver is required, too. 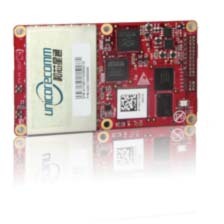 The trend is to integrate the array processing with the GNSS receiver in a single unit. Q: How will Galileo benefit the troposphere monitoring community? A: L-band RF signals experience propagation delays dependent on pressure, temperature, and humidity in the neutral atmosphere. We can measure this effect using GNSS receivers and extract information about atmospheric properties. Of particular interest are atmospheric moisture measurements, because water vapor is an important greenhouse gas and a major factor in weather systems. Over the past decade, meteorologists have exploited GNSS as an atmospheric remote sensing tool, with applications in weather forecasting and climate change. The availability of Galileo signals, when combined with those from GPS (and/or GLONASS), will enable more accurate estimates of water vapor using ground-based receivers, with higher temporal and spatial resolution. By deploying Galileo receivers onboard low-Earth orbiters, vertical profiles of atmospheric temperature and humidity may be derived with improved accuracy over current GPS-based methods. Q: Are special GNSS receivers required for high-dynamic applications such as on fighter aircraft? 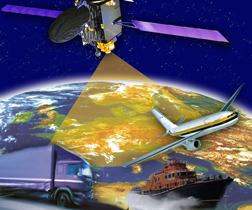 A: Yes — high dynamic applications do often require special types of GNSS receivers. When designing a GNSS receiver, many tradeoffs need to be made, and certain design decisions are necessary in order to be able to track during high dynamics. Several different factors can affect the ability of a receiver to maintain lock on the GNSS signal for a given level of dynamics, including the loop filter characteristics, oscillator phase noise, and oscillator vibration sensitivity. Each of these will be explained separately.